Incredible Value in the established Summerfield section of LWR! This charming 3 bedroom 2 bathroom cottage home has excellent curb appeal & sits at the quiet end of a cul de sac street. 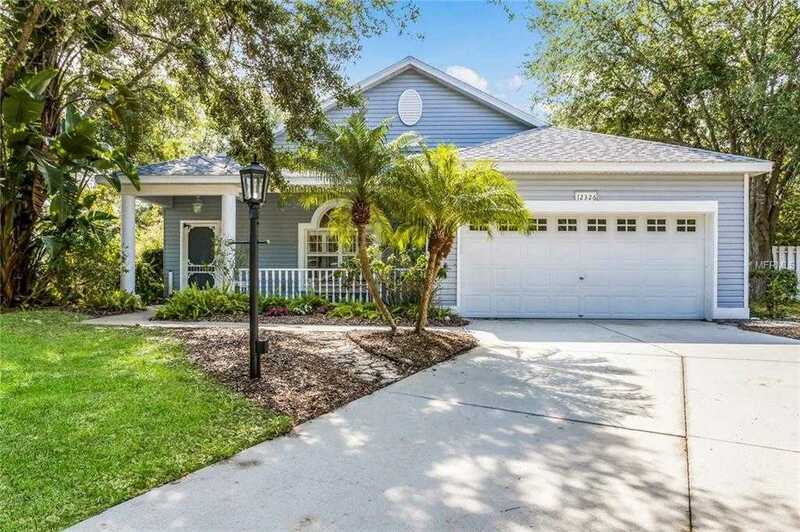 Situated on an oversized & extremely private fenced lot, this solid, concrete block, Bruce Williams built home has great bones including a new roof (2017), high end SS appliances, solid maple cabinets, a Rinnai tankless water heater, & plantation shutters throughout. A large Southern style front porch w/ room enough for rocking chairs & a porch swing greets you as you enter the home while the efficient, open floor plan w/ wonderful natural light & oversized bedrooms provides a blank canvas for your tasteful updates. Take in broad lake views & tranquility from your screened South facing lanai or turn the corner to find a secret garden w/ mature foliage & a Koi pond. The eat-in kitchen can easily be opened up to the living space & Seller is now offering a $2500 credit to put in new flooring. This home presents a rare opportunity for anyone looking to get into the ‘A Rated’ Nolan & McNeal School District at a price point that simply can’t be matched. 13; 13; NOTE: Home is not eligible for FHA or VA financing due to exposed concrete floors in the bedrooms. The home needs light TLC including for minor wear and tear, landscaping, & new flooring throughout (The easy stuff). You will be rewarded for your efforts as the price allows for considerable sweat equity based on recent comps. Do not delay, this house has tremendous potential! Please, send me more information on this property: MLS# A4432704 – $249,900 – 12326 Winding Woods Way, Lakewood Ranch, FL 34202. I would like to schedule a showing appointment for this property: MLS# A4432704 – $249,900 – 12326 Winding Woods Way, Lakewood Ranch, FL 34202.